The Mertens family is going through a rough time, but they’re getting by with a little help from their furriest friends from all over the world! Emma Mertens is 7-years-old, and is described as a kind, big-hearted girl. She’s playful, happy, loves her family, and she loves, loves, LOVES dogs! The Mertens family doesn’t have a dog in their home, but Emma enjoys dog-sitting for friends and neighbors. 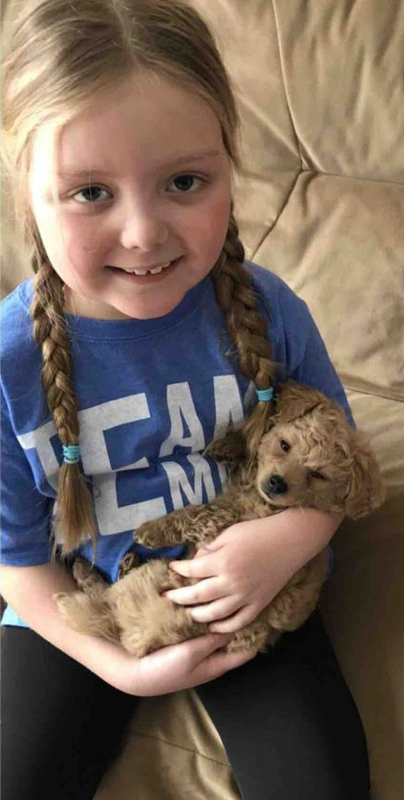 In late January Emma was diagnosed with Diffuse Intrinsic Pontine Glioma, an aggressive brain tumor also known as DIPG. 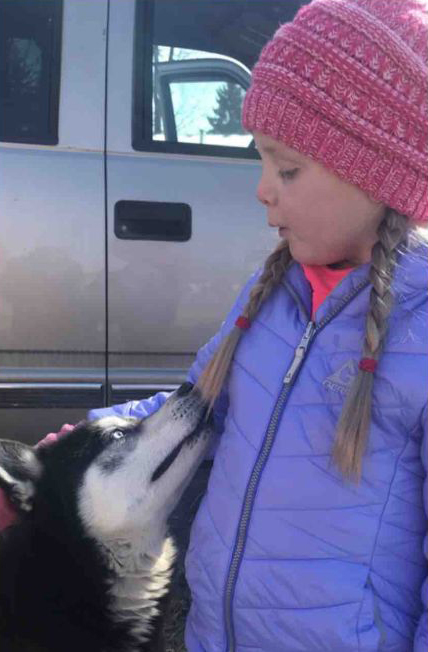 A brain tumor is a big fight for a 7-year-old, but Team Emma has rallied behind her, and they’re giving her all the support they possibly can. 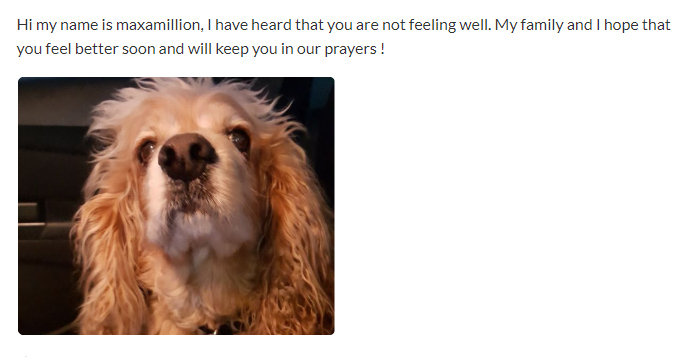 To bring a smile back to Emma’s face, her parents reached out to friends asking them to send words of support from their dogs. Yep. Their dogs. And the dogs answered the call! Word spread through flyers and social media that dogs were needed to cheer Emma up, and letters began to pour in from all over the world! 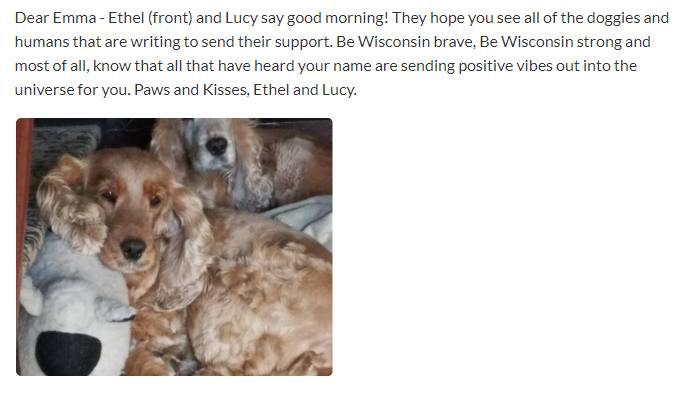 Dogs from other countries sent their words of support (with the help of their human friends) to Emma to help bolster her confidence for her fight. Those that don’t send letters are chiming in on the family’s GoFundMe page with photos and kind words. The family is grateful for the support that has been shown for Emma. 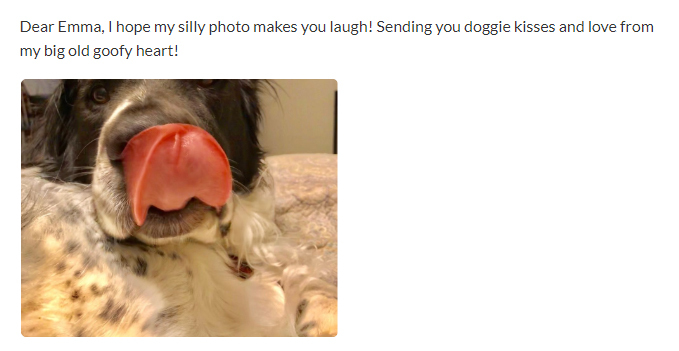 You and your dog can join Team Emma! 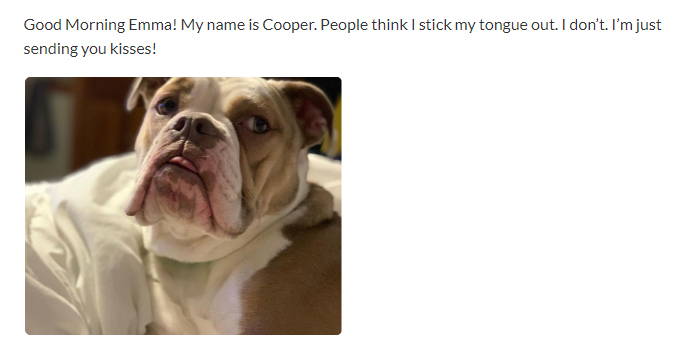 Or you can contribute your kind words and donation to help Emma’s fight on the family’s GoFundMe page!